Welcome to our Ford AODE/4R70W series transmission repair products page. 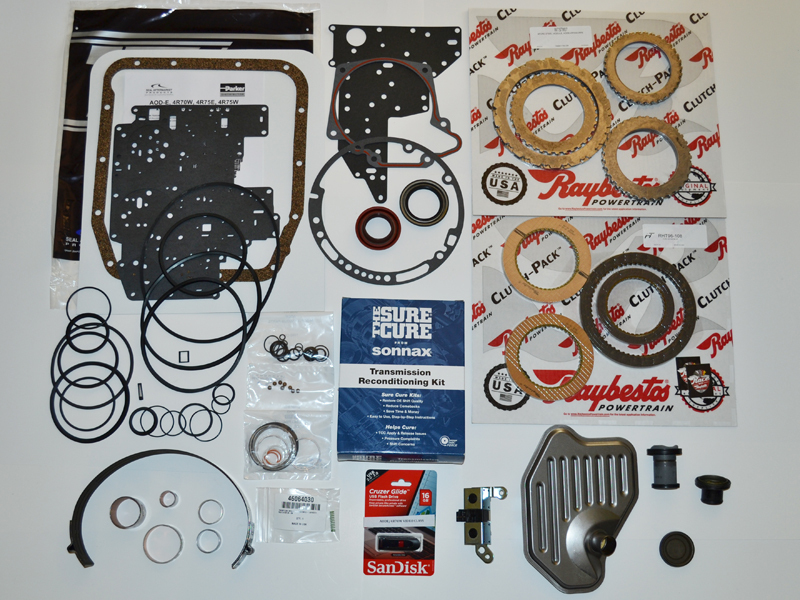 Here you'll find not only rebuilding kits, but also individual parts for your transmission project. 24 Hour Secure Ordering Online! All 8 hours of the AODE/4R70W instructional video lessons as seen on YouTube are now available on one 16GB USB drive. They are MP4 standard definition video files which can be viewed on a pc, laptop, tablet or smart TV. You could even transfer the files to your phone and conserve on data use! Best of all, the price is low. You're essentially buying a loaded thumb drive and making a donation too. For $49.99, you get the equivalent of a technical school class for less than the cost of dinner for two at a restaurant. And... you're helping to fund the production costs of the videos. All 25 hours of the video classroom lessons for the GM 4L60E, FORD 4R70W and CHRYSLER 46RE, as seen on YouTube, on a 32GB USB drive. A $120.00 value for only $69.99. They are MP4 standard definition video files which can be viewed on a pc, laptop, tablet or smart TV. START YOUR OWN TRANSMISSION SHOP! Our very best kit and recommended starting point for thorough AODE transmission rebuilding. All components are the typical high wear and failure prone parts you must replace for a long lasting trouble free assembly. NOTE: Additional parts such as gearsets, drums and pump are available separately in the "Individual Parts" section below. 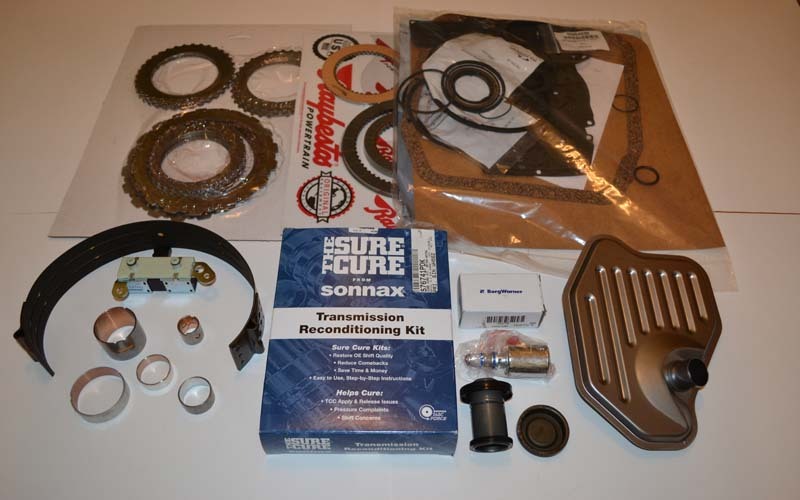 Our very best kit and recommended starting point for a durable trouble free 1993 through 1995 4R70W transmission. This kit includes all the high wear and failure prone parts you should replace for a long lasting rebuild. *NOTE: Additional parts such as gearsets, drums and pump are available separately in the "Individual Parts" section below. This is THE kit for 1996 and 1997 4R70W, 4R75W, 4R70E and 4R75E rebuilding. Like the other Deluxe Super Kits, it is the recommended starting point for a thorough transmission overhaul. This kit does not include an electronic pressure control solenoid. Select one from the "Individual Parts" section below. This is THE kit for 1998 - 2003 4R70W, 4R75W, 4R70E and 4R75E rebuilding. 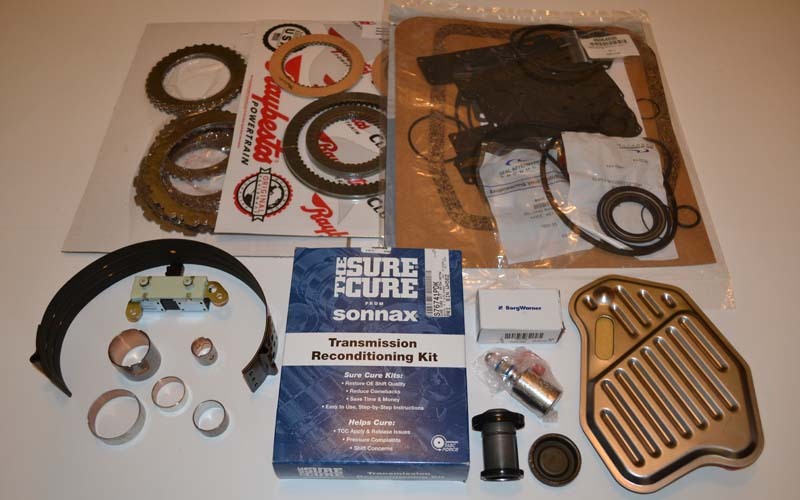 Like the other Deluxe Super Kits, it is the recommended starting point for a thorough transmission overhaul. This kit does not include an electronic pressure control solenoid. Select one from the "Individual Parts" section below. This is THE kit for 2004 and later 4R70W, 4R75W, 4R70E and 4R75E rebuilding. Like the other Deluxe Super Kits, it is the recommended starting point for a thorough transmission overhaul. This kit does not include an electronic pressure control solenoid. Select one from the "Individual Parts" section below. 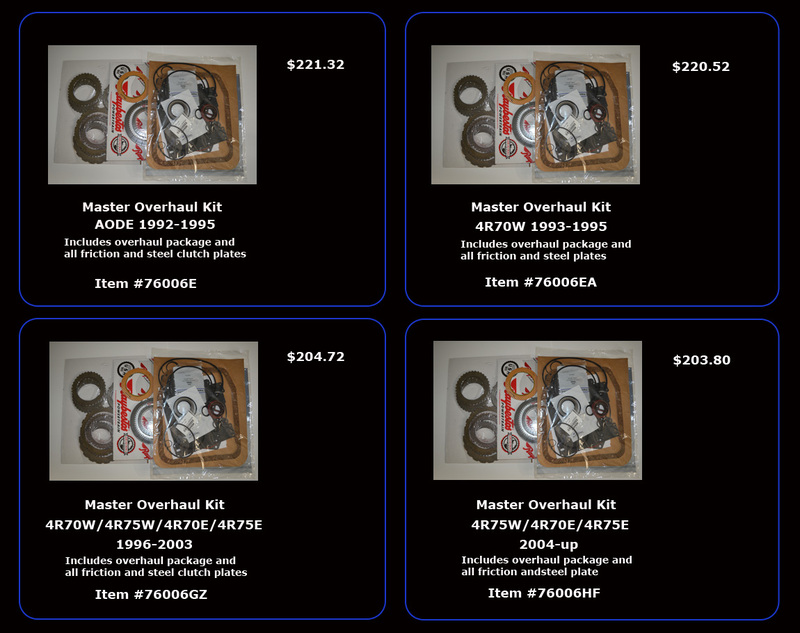 Here are the master ovehaul kits and overhaul packages for those purchasing individual parts separately. 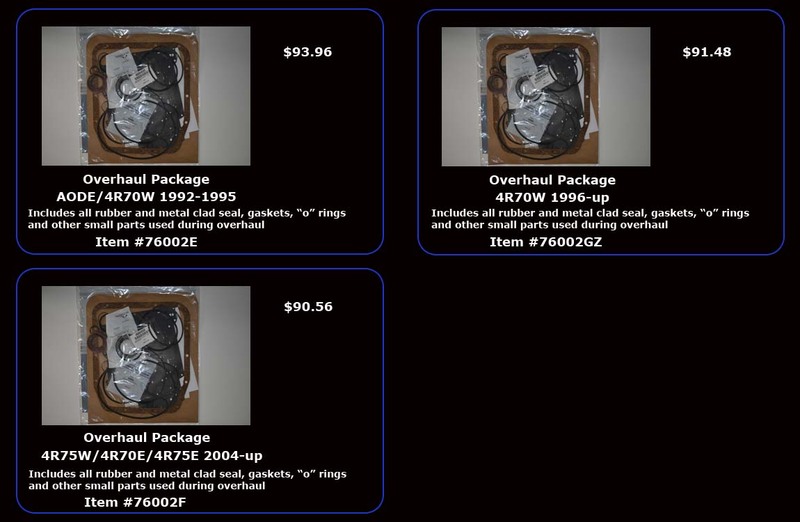 Here are the additional parts you may need. If the part you're looking for is not listed, give us a call. We may have it.